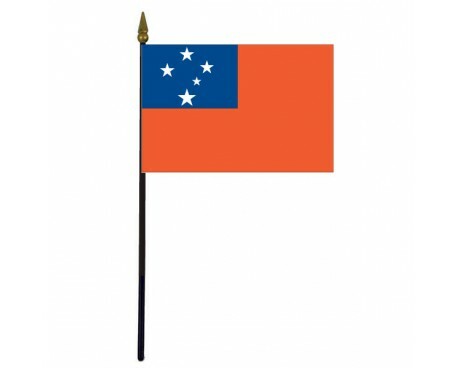 Western Samoa Stick Flag - 4x6"
The flag of Samoa has a simple design that reflects both the nation's place in the world and some of its historical flags. The design of the Samoa flag predates the nation's full independence from foreign rule, and it follows in the footsteps of a long sequence of flags that represented the nation during the colonial period when it was part of European empires. The Samoa flag has a solid red field with a blue rectangle in the canton. The rectangle includes five white stars that are arranged to form the Southern Cross constellation. The constellation is a common feature on many of the flags of Pacific nations, and it is used to honor the nation's position in the Southern Hemisphere. The blue portion of the flag represents the freedom of the Samoan people, while the red part of the flag is a symbol of their courage. 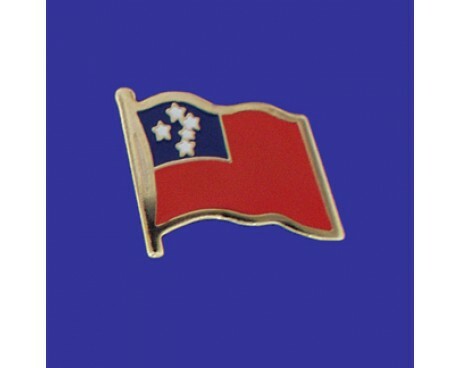 Both colors also feature in the colonial flags that represented Samoa while it was part of the British Empire. Those flags also provided the flag of Samoa with its layout, so the modern flag serves as a clear link to the nation's history as part of the British Empire. The first flag of Samoa was a variation on the German flag that was adopted in 1900 and discarded in 1914. 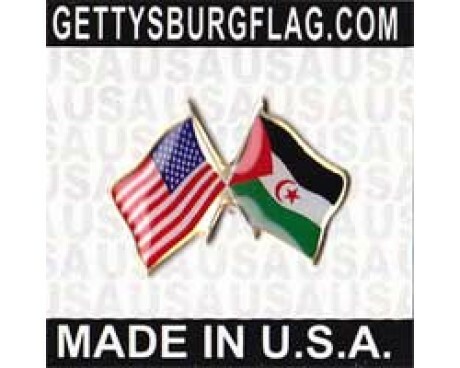 It had three horizontal stripes of black, white, and red and a black eagle in the center of the flag. It was replaced by the colonial flag of New Zealand when that nation's military forces occupied Samoa during the first world war. The flag was retained after the war ended until 1920, when Samoa became a League of Nations Mandate territory under British administration. Samoa then gained a standard British colonial flag that consisted of the colonial seal in the fly of a blue field with the Union Jack in the canton. 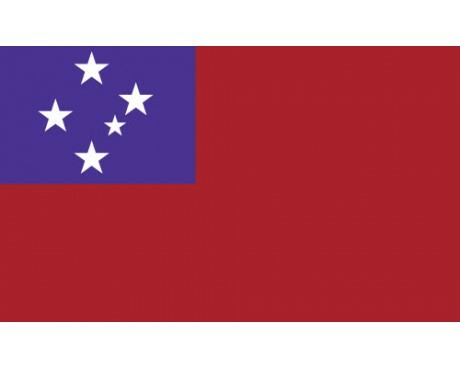 A version with a red field serves as the Samoan naval ensign and inspired the modern flag. The current flag came into use in 1949 when Samoa was a United Nations Trust Territory, and the government chose to retain it when it gained full independence in 1962.